Is China’s Hainan Island ready to be the new Vegas? There has been huge news coming from China recently which could affect the future of online gaming. 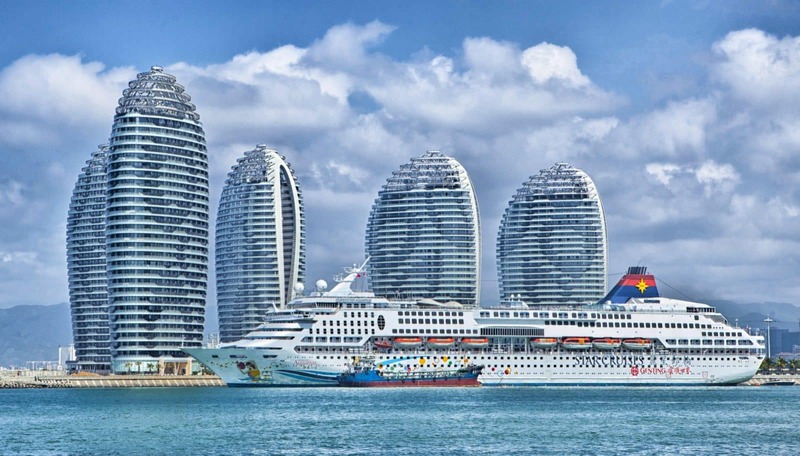 The Chinese government has been drafting a new gambling proposal in an unprecedented move to legalise gambling on Hainan Island, the small and southernmost province of China. The move was a surprise due to the fact that China has extremely strict gambling laws and is illegal everywhere except in Macau and Hong Kong. Selling lottery tickets is even prohibited without government approval. The legalisation of gambling in Hainan could potentially rid the province of its huge debts and bring jobs and prosperity to the people there. Online gambling is also currently illegal in China, so there is no way of playing the best slots casino. Hainan Island is the smallest and most Southern province of China, boasting 34k square kilometres. This close proximity to other countries and access to the ocean is what gives Hainan Island a great advantage over the competition, as it is easier to travel to. Entering recorded history in 110BC, Hainan Island was part of the Han dynasty, with a military garrison situated on the island. During the period of the three kingdoms which stretched from 980 to 1368, Hainan Island became a part of Guangxi, and large numbers of Han Chinese immigrated to the island. This improved the economy and sparked a diverse culture upon the island. Most of the population of Hainan Island is made up of Han Chinese, but about one-sixth are ethnic minorities. In terms of its economy, the island used to be primarily agricultural as the population was predominantly rural and the fact that agricultural products accounted for most of the island's exports. However, since the late 1990s, there has been a lot of urbanisation to the island, making it a prime candidate for the new gambling centre of the world. Hainan was designated China’s largest social economic zone in efforts to boost the development of resources. There has also been a lot of foreign investment into Hainan to the point that Hainan has been able to rely on market forces. Recently, Hainan’s industrial output has surpassed that of agriculture for the first time ever, proving it’s increasing industrialisation and promise to be a major gambling province. Known as the gambling capital of the world, Las Vegas is basically now a synonym for gambling. Nowadays, when you go to Las Vegas, it’s hard not to be mesmerised by the grandeur and bright lights of it all, but this city was not always this way. Las Vegas’ major thrust in its development to be one of the most famous cities in the world was the state's decision to legalize gambling in Nevada. 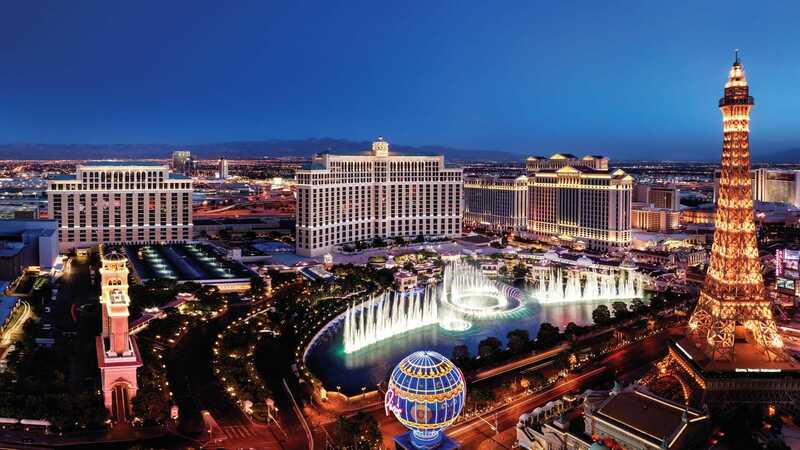 Once a wet marshland transformed into a gold mine of resources and land, the city is now vastly different with the strip being the main attraction for tourists. Another important event that spurred the development of Las Vegas was the building of the Hoover Dam. This proved to be monumental in the development of the city. It brought hundreds of tourists to Nevada, making them more powerful in terms of taxes. Consequently, the state could reinvest the money back into developing the strip in order to make it the bright, bustling city that we know and love today. Of course, there were blips along the way in the development of Las Vegas, which is to be expected with any city. These mainly included crime and corruption, which seemed to thrive in the city. However, since the early days of the city, there have been numerous measures put in place in attempts to prevent further fraud. However, if Hainan continues to move forward in the direction of legalising gambling and pumping more money into the island, Vegas may be left behind in its trail to be the number one place for gambling. What are the proposals and how will they affect China’s current gambling market? The Chinese government is considering allowing Bloomberg reported that the Chinese government is considering allowing lottery and sports betting, as well as opening the province up to online gaming companies. The plans also include provisions for physical casinos to be built on the island in the hopes of creating a booming tourist industry. Hainan is known as China’s Hawaii due to its natural beauty and spectacular beaches so, with the introduction of casinos, it may well become the holiday of choice for punters worldwide. Macau is currently a mecca of glitz and glamour for gambling in China but is its reference as the ‘Vegas of China’ about to come under threat? The $33 billion casino industry in Macau makes it the world’s largest gaming hub with revenues five times larger than Las Vegas. However, Bloomberg has reported that upon receipt of the news Macau casino stocks tumbled on the news. Wynn Macau Ltd. slid 6.7 per cent before closing 0.2 per cent lower. MGM China Holdings Ltd. declined 1.5 per cent while Sands China Ltd. fell 1.4 per cent. What are the laws surrounding gambling in China? There are now many forms of legal betting within mainland China, but only as long as it is approved by the state. The People’s Republic of China actually ranks number one in gambling revenue when you include Hong Kong and Macau. This is thanks to the numerous forms of gambling made legal since Mao’s day, including sports betting, lottery and virtual terminal games that resemble slot machines. China has an extremely turbulent relationship with gambling, with many still treating it as if it is a crime, thanks to Mao’s crackdown on it. However, the law is very vague when it comes to gambling, meaning that casual gambling is not actually a crime. Whilst authorities still crack down on casual gambling, it is not as widely punished as the media make it out to be. Online gambling in China is also illegal but whilst there are blocks to these websites, there are ways around these to use them. Despite this, you don’t often hear of people being arrested for online gambling. For many centuries now, gambling has had an interesting relationship with the laws and culture of China. Arguably, its most popular period of existence was during the Han Dynasty, when more and more writings about gambling appeared. This was also a time where the presence of sport increased. Gambling’s existence is believed to go back thousands of years to 2300 BC where Cuju was used to train samurai, although there is not a lot of credible evidence to support this claim. Despite this, it is believed that gambling and games of chance have always been a part of our culture. Find out more about the history of blackjack here at Slots Baby. The most repressed period of time for gambling was under the rule of Mao in a one-party socialist state. He considered gambling to be a social ill plaguing China and thus, he banned all forms in an attempt to get rid of it. He also attempted to re-educate by punishing all gambling offences, including even playing mah-jong with no gambling even involved. It was repealed following the event of his death but his actions left a lasting effect on the opinions of people living in China, to the point where it is now still frowned upon. How likely are the plans to go ahead? The Chinese government has already been pushing tourism towards Hainan and it seems officials have coordinated their efforts in doing so. There have already been new infrastructure projects launched with a new international airport already planned for the city of Dongfang. There has also been extensive work on new highways and high-speed railways which suggest the government has been planning for some time now, for an influx of new tourists. There have also been plans in place to relax visa laws to encourage more people to flock to the area. Despite China being the world’s biggest tourism spender, it has found it challenging to attract foreign tourists. While the Chinese government has not released any set plans or a timescale for the decision, it does seem that everything is very much moving forward with officials preparing for a possible visit from President Xi in the next few months with the outlook of promoting development on the island. All eyes will be on Hainan for the next few months as we wait to see what the future holds for the province and gambling in China.